This post is a bit lengthy, but since I posted only board book reviews last month, I wanted to talk a little bit about what the girls are reading before launching into the spring picture book reviews so I don't fall too far behind. This past month, Miss Muffet (2 years, 7 months) has started to take an interest in five particular books, three of which were my favorites as a preschooler/early elementary reader, and two of which were special favorites of my sister, Miss Muffet's aunt and godmother. It started with We Help Mommy, which is included in a collection of books illustrated by Eloise Wilkin that my sister gave to us in order to ensure that her favorite book would be shared with her nieces. Miss Muffet knows just where to find that story in the book, and she asks for it frequently by name. Her favorite part, it seems, is when Martha, the little girl who is the narrator, makes a small pie for her father, and says, "Roll, pat. Roll, pat. I'm making a treat for Daddy." As it was just Father's Day, we have all been repeating these lines a lot, sometimes substituting the names of other people (and objects, like "lettuce") for Daddy's name. With We Help Mommy on my mind, I was reminded of The Tub People, which my sister also loved as a kid, so I dug out the used copy we bought a few months ago. It's pretty wordy for a two-year-old, but Miss Muffet has listened to me read it, as well as an audiobook recording, and she has just fallen in love with it. A few times now, I have heard her yelling "Help!" from her bedroom only to check in and find that she is just "reading" the dialogue for this story. 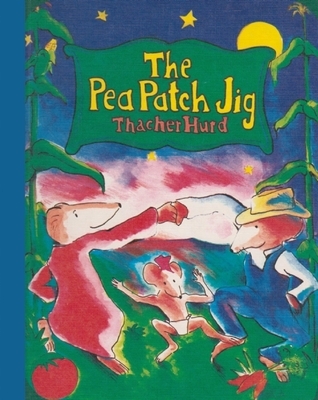 The other three books Miss Muffet now loves, which were among my favorites at her age and a little older, are Mrs. Wobble the Waitress, Sarah's Unicorn, and The Pea Patch Jig. 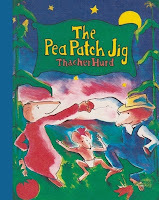 She refers to The Pea Patch Jig as "rig-a-jig-jig," which is very cute, and she has become very interested in learning the names of all of the vegetables shown on the endpapers. She has also become fond of saying "ptooie" which is the sound Baby Mouse's pea shooter makes in the story. She hasn't had too much to say about Mrs. Wobble yet, but she requests it a lot so I'm sure as she gets to know it better, she will have favorite moments in that story as well. 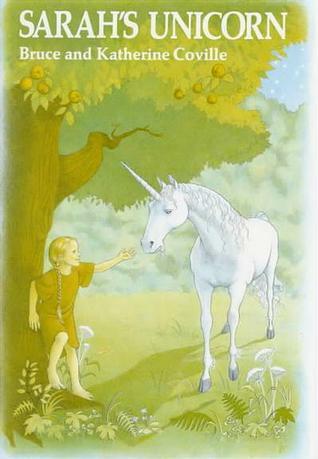 Sarah's Unicorn is an easy reader, and I borrowed it from the library for nostalgia's sake, and not necessarily to share with Miss Muffet, but she asked for it once, and after that she was hooked. She can now name all the characters and even give an accurate summary of the plot. She seems a little bit concerned about the meanness of Sarah's aunt, Mag, early in the story, but she is not scared enough to avoid the book, so I think she is probably handling it okay. Little Bo Peep (9 months) is now crawling and almost pulling up to stand, and since she can get around and reach for things a bit better now, we now have to watch her more carefully around books. Thankfully, a friend had the idea to give us an Indestructible, so whenever she feels like biting, pulling, bending, or otherwise abusing a book, we just hand her Baby Peekaboo and let her give it her best. The book is fairly crumpled at this point, but the binding is still intact, and no corners have been chewed off, so I would say it lives up to its name quite well. 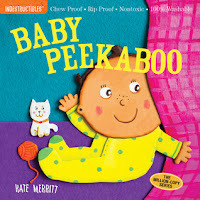 Bo Peep is also very fond of the book, since it has a baby's face on the cover, and she does occasionally take a break from trying to tear it apart to have it read to her. 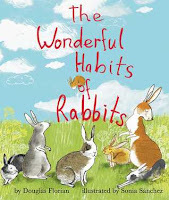 I requested The Wonderful Habits of Rabbits (9781499801040) for review mostly because of the author, Douglas Florian, but I didn't find it quite as clever as his well-known poetry books. The rhyming works fine - there are no awkward lines or gratuitous word choices - but there was something boring about the text overall. 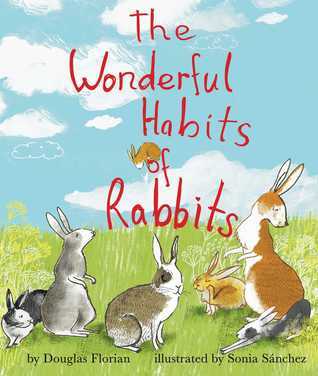 The book doesn't really teach a lot about rabbits. Rather, it gives a vague list of "habits," many of which could apply to nearly any species. 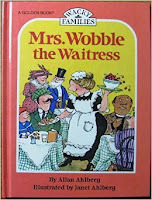 Miss Muffet did ask for me to read it aloud to her a few times when it first arrived, but though it is still among her books in the living room, she doesn't look at it much now that the novelty has worn off. I did consider using it for my recent spring-themed story time, but ultimately went with the reliable favorite, Home for a Bunny. 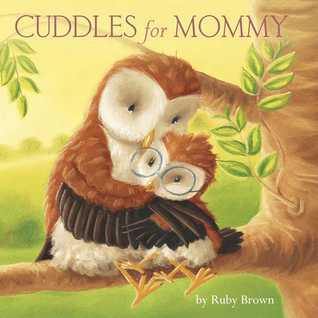 I requested Cuddles for Mommy (9781499802030) also, this time because of the owl characters. The story is told almost entirely in dialogue between a mother owl and her child as they try to determine precisely which kind of cuddle the little girl should give her mommy. The illustrations are very sweet, and of course our owl lover, Miss Muffet, is drawn to those, but the plot seems to go on too long, and the owls are clearly awake in the daytime, which is jarring and strange. There is no real reason for the characters to be owls over anything else, so if they're not going to be nocturnal, I see no point in using them to illustrate the book. 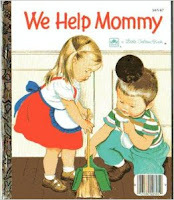 Still, though, the story would work for a Mother's Day story time, or one on an owl theme, and Miss Muffet regularly "reads" it to herself alongside Hoot and Peep and Owl Moon. 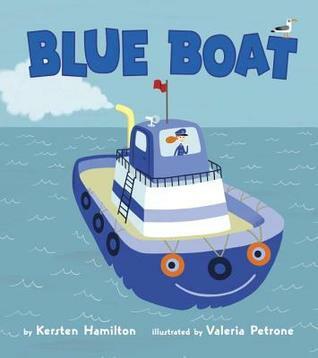 We received two copies of Blue Boat - the full-length picture book (9780451471413) and the abridged-by-one-page board book (9781101998533). This ended up being a perfect arrangement, as Bo Peep could hold the board book while Miss Muffet and I read the picture book uninterrupted. I liked the book initially for the artwork, and because it reminded me somewhat of Sail Away by Donald Crews. I've read the book aloud a few times now, too, and though some of the lines drag a bit, for the most part, the rhythm and rhyme of the text works well. 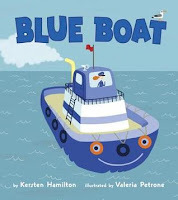 I shared the book at a recent story time, and the kids were a bit young for it, but I think with the right group of three- and four-year-old boys who are really into transportation and rescue heroes, it would become an instant favorite. Miss Muffet is not that in to transportation right now, but I am keeping the book around for a while to see if she becomes more interested as she gets a bit older. And Bo Peep naturally thinks the spine of the board book is delicious! 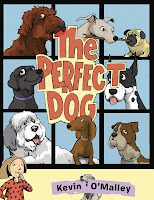 The Perfect Dog (9781101934418) was a surprise hit with Little Miss Muffet. Though the book came to me unbound, which usually means I can't easily share it with her, we read it together multiple times, and every time I went to put it away, she would ask for it to come out again. I think what she liked most was learning the names of the different dogs shown on the endpapers. She also really responded to the predictable structure of the text, in which a little girl tries to find the dog of the perfect size, shape, and style, but determines that each one is too loud, too big, too fancy, etc. We are not a pet family, so there is never any chance we will go through the experience of the girl in this book, but Miss Muffet seemed to enjoy living vicariously through the book well enough. For me, this is a book I would use at story time because of how it is written, but it's not something I would choose to add to my personal collection. 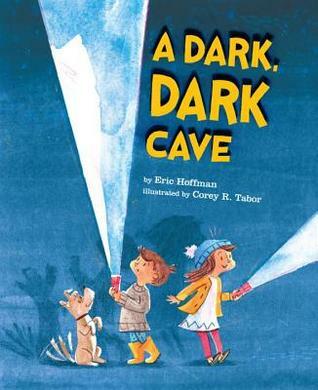 Last, but decidedly not least, A Dark, Dark Cave is probably my favorite of the picture books we received this Spring. It follows two children into a dark, dark cave where they encounter creepy creatures crawling the walls, and yellow eyes lurking in darkness, all of which turns out to be the product of their imaginations. The illustrations are richly colorful, and once you realize what the cave actually is, there are details in the illustrations and on the endpapers that support that realization. The depiction of siblings who play nicely together is also a nice addition to the book, as many stories focus on rivalries instead of cooperation. Miss Muffet is not quite old enough to fully understand the book, but she has asked to hear it many times, and her little eyes grow wide each time something just a little bit more scary appears on the page. For story time, I might pair it with something like A Mighty Fine Time Machine by Suzanne Bloom or Not a Box by Antoinette Portis for a celebration of imagination. I received finished copies of The Wonderful Habits of Rabbits and Cuddles for Mommy from little bee books, finished copies of The Blue Boat and A Dark, Dark Cave from Viking Books for Young Readers, and an unbound galley of The Perfect Dog from Crown Books for Young Readers. Gen, a master thief, has been thrown in prison in Sounis after stealing the king's ring and bragging about it in a wineshop. He receives a reprieve from incarceration, however, when the king's magus enlists his help in stealing a prized artifact known as Hamiathes's Gift. Accompanying Gen and the magus on their journey to the deadly temple which protects this mysterious stone are the magus's apprentices, Sophos and Armiades, and Pol, whose job it is to look after Sophos. Though the five men get along well enough and sometimes even joke and chat together, everyone understands that Gen must either secure the treasure or die trying. What each character does not realize, however, are the secrets harbored by the other members of the company. 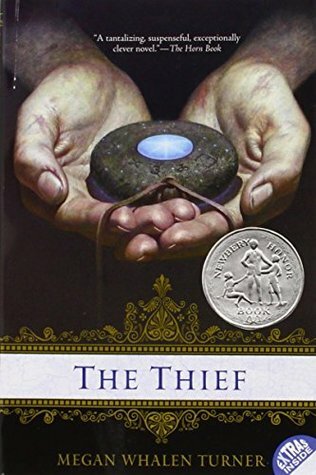 The Thief is a superbly written novel by an author with a strong command over the English language. The story is well-plotted and unfolds very naturally. Turner slowly reveals smalls details about Gen's life and background over the course of many chapters, which creates an air of mystery around him and causes the reader to want to know more. The story as a whole is very descriptive, which makes it seem to move slowly in some places, but the more exciting scenes - especially when Gen is in the thick of trying to steal the stone and emerge alive from the temple - are utterly flawless and deeply engaging. Turner also deftly pulls off a plot twist, which is made possible only because of how carefully she chooses her words throughout the entire text. There is no sense, when the truth is revealed, that the reader has been duped or even manipulated. It feels more like the author suddenly turns on a light and particular details that have been in the story all along shine forth and reveal their truth purpose. The twist is impressive not because of how the reader has been fooled, but because of how well Turner hides the truth until it serves the story best to share it. This book was a pleasant surprise for me. It includes no real magical elements, which tend to be the hardest for me to connect with in fantasy novels, and is really very realistic aside from characters who talk to gods and goddesses and the overall re-imagining of history that serves as the backstory. The quest aspect of the story, and the properties of the treasure itself certainly place the book in the fantasy genre, but it is very different from the first dozen books I read for this project, and it is a book that will stick with me for a while. In the future, I hope to review the rest of the series: The Queen of Attolia, The King of Attolia, A Conspiracy of Kings and any future titles Turner adds to the list! When her father dies, Sophie, the eldest child, remains with her stepmother at the family hat shop while her two sisters move away from home to make their own paths. One day, a difficult customer enters the shop, and when Sophie angers her, the customer reveals herself to be the Witch of the Waste and promptly places Sophie under a spell which causes her to appear as an old woman and prevents her from telling anyone she has been cursed. 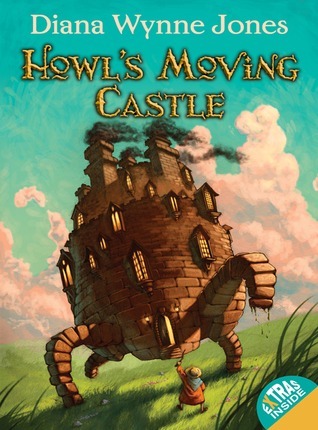 Realizing that her stepmother would be horrified by her changed appearance, Sophie wanders off and soon stumbles upon the moving castle belonging to Wizard Howl. There she meets the dreaded Howl, who has a reputation for harming young girls, Michael, a young man who lives in the castle, and Calcifer, the fire demon with whom Howl has entered into a contract. Calcifer, who instantly guesses that Sophie has been cursed, makes a bargain with her: if she can help him get out of his contract with Howl, then Calcifer will see that Sophie's own curse is broken as well. In the meantime, Howl has been called upon to rescue a prince, a task which he does not appear to take seriously enough. I knew absolutely nothing about this book except its title and author before picking it up, so I had no preconceived notions other than the understanding that I should read it because it so well-known and well-liked. What drew me in, first of all, were the tone of the story and the voice of the protagonist. The story uses the conventions of a fairy tale, but the writing has a decidedly modern flair, and Sophie is not just an archetype, but a fully developed human being who happens to inhabit a magical world. 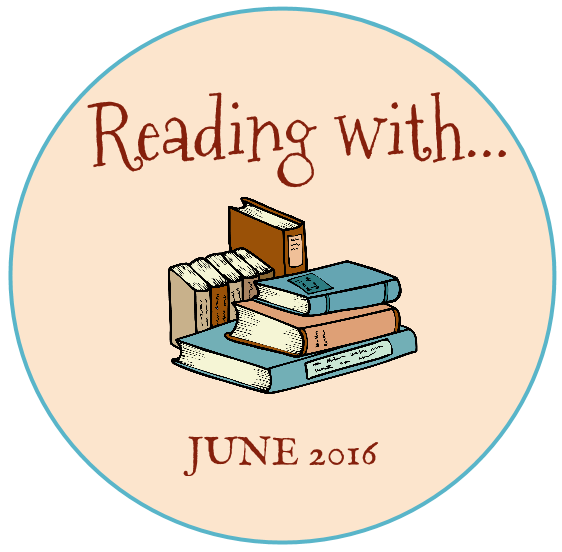 Howl, too, is a completely engaging part of this book. Despite his womanizing ways and the fact that one never knows whether to trust him, or fear him, or laugh at him, there is something magnetic about his personality. At the back of the ebook edition I read, there is an interview with the author in which she says that most of her readers have crushes on Howl and wish to marry him. While I tend to agree with Jones that he would not be an ideal marriage partner, I can see the appeal of his "bad boy" persona, especially given that Sophie herself is constantly looking for ways to improve him, and to better understand and protect him. The castle, too, is an important and interesting part of this book. I will admit that it took me a while to really grasp how the castle works, and there were moments where I felt lost and unsure as to which door opens into which world. Still, even with the unsettled feeling of not always understanding what was happening, I could vividly imagine the interior of the castle, especially the bathroom where Howl spends so much time primping, and the fireplace which houses Calcifer. The fact that the castle allows Howl to appear as different personas to different people allows the story to explore the concept of identity in a very concrete and interesting way. Sophie's transformation into an old woman provides similar opportunities to think about the ways in which appearances do and do not make us who we are. This is one of the few fantasy novels I think I would have enjoyed as a kid. The sense of humor really appeals to me, as do each of the characters living in the castle. Based on the experience of reading this book, I think I would like to read more of Jones's books, especially the other Howl titles: Castle in the Air and House of Many Ways. Her writing style makes fantasy easier for me to understand and enjoy, and though there are some suspenseful moments, the book is really a feel-good story overall. Kids who like fantasy but are sensitive to scary themes will feel right at home in this universe and will be glad to see how all the problems sort themselves out in the end. 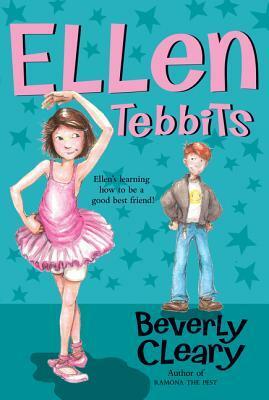 Ellen Tebbits is so utterly embarrassed by the fact that her mother makes her wear woolen underwear that when she changes her clothes before dance class she hides in the closet to avoid being teased. When she learns that another girl, Austine, must also wear the same kind of underwear, however, the two bond immediately over their secret shame and become the best of friends. As happens to many best friendships, however, theirs is tested when Ellen hurts Austine's feelings and struggles to find a way to apologize. Though so much of what happens in this book would not happen today, the characters themselves have many of the same fears, concerns, and feelings as contemporary children. Though girls are unlikely to wear woolen underwear to school, they can all relate to the way it feels to be embarrassed by a family rule others don't have to follow. While today's teachers don't ask kids to clap erasers at recess, kids still understand what it's like to want to please a teacher and feel as though they fall short in some way. Above all, kids of every generation understand what it's like to be lonely, to be teased, to find a new friend, to hurt a friend's feelings, and to make amends and start anew. More than any other author, Beverly Cleary understands childhood. Though her books reference customs, styles, and events of the time in which they were written, her descriptions of the thoughts and feelings of kids transcend time. 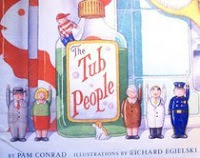 I am pleased that a book like Ellen Tebbits remains in print and is still widely available on library shelves. 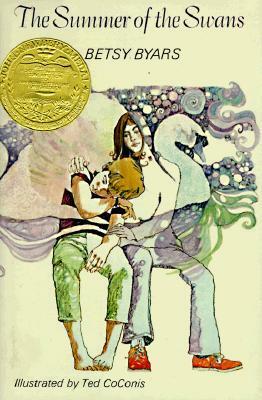 Now that I have been reminded once again of the brilliance of Beverly Cleary, I want to go back and read the other titles of hers that I have missed, including the companion novel to this book, Otis Spofford.